A former Shrewsbury Magistrates Court officer and councillor has qualified as a lawyer with one of the town’s largest firms of solicitors. 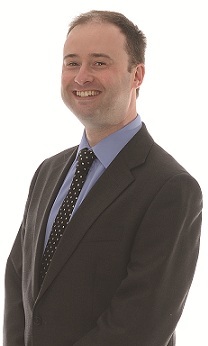 Jonathan Edwards has become a Fellow with the Chartered Institute of Legal Executives and will continue to specialise in administering estates, wills and lasting power of attorney issues at Wace Morgan Solicitors’ office in Belmont. He will also be able to act as a commissioner for oaths. Wace Morgan managing partner Diana Packwood said that Jonathan had studied for his qualifications while working as a Private Client Executive for a number of years, gaining valuable experience in the area in which he specialises. Jonathan formerly spent six years at the Magistrates court, dealing with Legal Aid applications and liaising with solicitors and court users. He is also a former Shrewsbury and Atcham Borough Councillor and acted as flood warden during the floods in Abbey Foregate in 2000.